This might just be my new favorite Rosewood. 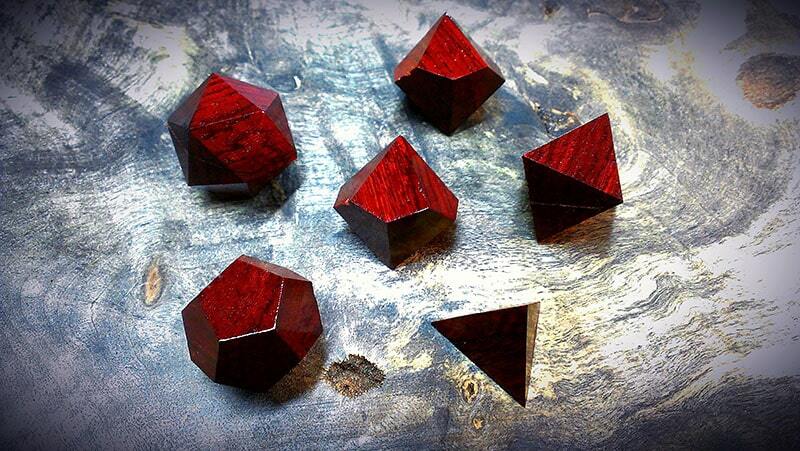 Khamphi is a deep burgundy color that polishes to an amazing richness and luster. It also smells like heaven when it is being worked. It definitely is my favorite scent of all the Rosewoods. Khamphi is not exactly rare, it’s just insanely difficult to try and harvest it. The roads to the areas where it grows were land mined in past wars and those mines have been deemed too costly to remove by the Laotian government. As a result there is not much Khamphi Rosewood available which is rather sad as this stuff is absolutely stunning. Can you e-mail me at gshumaker425@gmail.com when these dice come back in stock? I would love to have a poly set of these. My fiance’s birthday and our five year anniversary is coming up at the end of march. Red woods are here favorite and like this one the best what would an other good choose be? Can you engrave the box as well?